In the tradition of the South Coast Winery and Carter Estate Winery resorts in Temecula Wine Country, Carter Creek Winery Resort & Spa combines luxurious accommodations with fine wine and fine dining and is the newest addition to the Carter Hospitality Group collection of winery resorts. Owners and vintners Jim and Dawn Carter have created a paragon of Hill Country hospitality with residential-style villas, spectacular wines, craft beer, on-site spa services, and more. On one of the Carters' many trips, they decided to explore the Texas Hill Country and visit the well-established wine trail. They fell in love with the area and decided that they wanted to build a winery and resort that offered the Texas Hill Country visitors a welcoming place to stay, a wine country restaurant and a live music venue where special occasions and memories were created. Knowing Texans love of beer, they also decided to open a micro-brewery that made small-batch brews featuring local grains and fruits. Jim understands the concept of building a winery from start to finish, as well as what it takes to create quality wines and farm-to-table meals. Dawn spent years running a small family farm in rural Eastern Oregon. Together, Dawn and Jim decided to blend their life experiences and build a dream together that could be shared with others. And that dream is Carter Creek Winery Resort & Spa. So why Texas? Well, that is another story. Texas wine aficionados are probably familiar with the name, “Doc McPherson.” In short, Dr. Clinton “Doc” McPherson, who was a chemistry professor emeritus at Texas Tech University, is also considered the father of the modern Texas wine industry. In the early seventies, Doc McPherson recognized that West Texas was an area that could grow vinifera grapes and produce wines which were world class. Despite those who thought otherwise, he followed his instinct and in 1976 started what is now one of the oldest and largest wineries in the state, Llano Estacado Winery. Doc’s legacy continues in his two sons, Kim and Jon McPherson. They both worked at Llano Estacado during the early days as the start-up winery gave them opportunities to explore their winemaking. Kim, having studied at UC Davis and winning multiple awards for his wine-making skills, is considered a modern day pioneer in the Texas wine industry. Jon, still very much a Texas native son at heart, headed west in 1985 to enter the burgeoning Southern California wine-making industry after earning degrees from Texas Tech in Food Science and Chemistry. Jon gained national acclaim and recognition as America’s Most Award-Winning sparkling winemaker during the early nineties at Culbertson Winery. It was during his tenure at Thornton winery that Jon met Jim Carter and quickly forged a fast friendship. When Jim Carter started South Coast Winery & Resort in 2003, he was looking to find a winemaker with talent, but he also needed someone who had vision and creativity. Ultimately, Jim brought on as winemakers both Jon and his fellow winemaker and friend, Javier Flores. At the time, there were those who questioned if Southern California was a region that could produce premium grapes and wines; similar to those who questioned Doc McPherson’s belief that Texas could be a prime wine-making state. Jim and his team proved the skeptics wrong, as South Coast Winery & Resort is now a four-time recipient of the California State Fair’s Golden State Winery of the Year award. (No other winery has won this award more than three times). Given the McPherson brothers’ individual and collective skills, it only seems natural that Jim and Dawn would bring these two brothers together to collaborate on the Carter family’s wine-making and continue to foster their legacy as a pioneering family in the Texas wine industry. 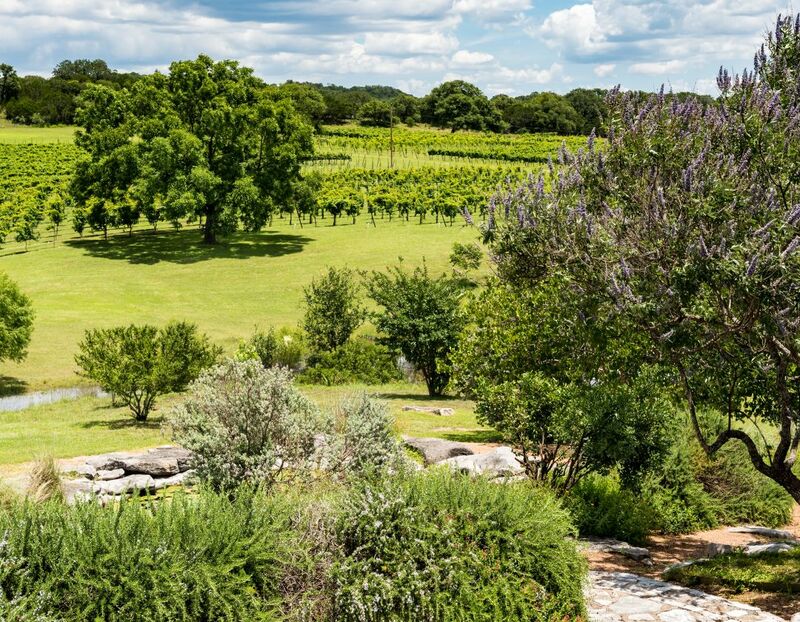 A combination of their unique talents and quality Texas-grown grapes allow Carter Creek Winery and Resort to produce outstanding wines for our customers.